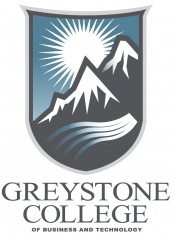 This message is posted on behalf of Greystone College, a BC TEAL Supporting Institution, as a service to our members. BC TEAL does not necessarily endorse nor promote the service or message therein. Model an example of a good ESL teacher, including emphasizing a task based learning method. Providing individual feedback, correction, encouragement and direction to students throughout the program and specifically in reference to student lesson plans and practice lessons. Interested applicants may apply via email to Sharlene.Reis@greystonecollege.com.